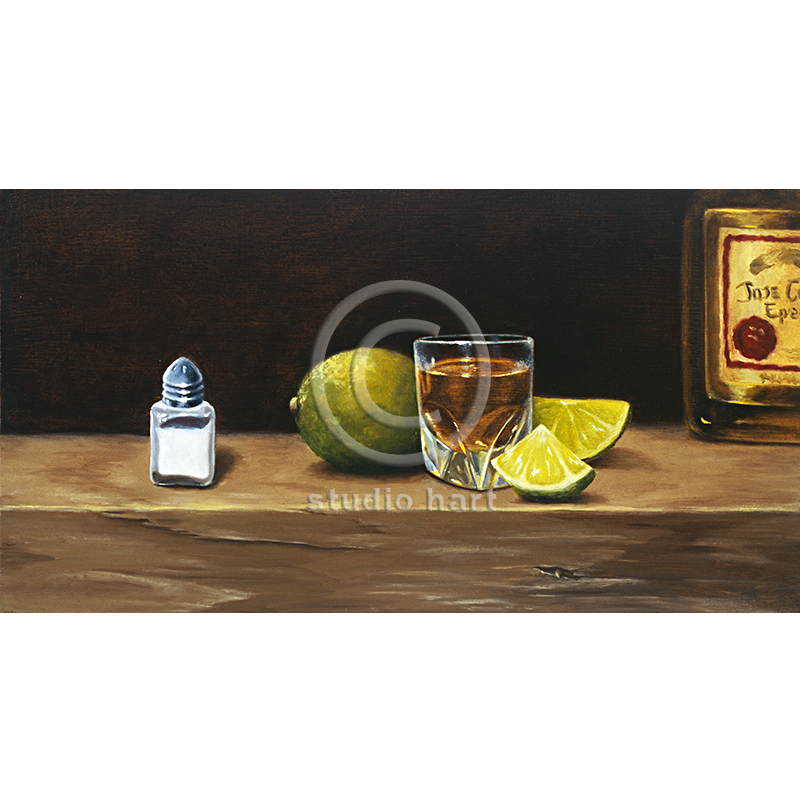 This still life is part of ” My Favorite Beverages Series.” I have painted numerous still lifes with bottles of tequila. Most of them commissioned by clients who really liked their brand of tequila. This one sold to a retired lady, who said it reminded her of when she went out with her girlfriends. Materials: Original oil on panel.